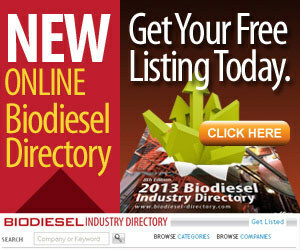 Uncertainty can lead biodiesel industry stakeholders off point. A tremendous value-added proposition exists for biodiesel marketers to diversify their fuel products offerings, improve corporate images and, of course, bolster their bottom lines. 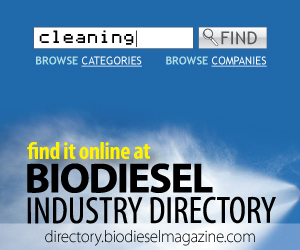 Several methods to cleanse and polish biodiesel are utilized, but the story on how well these work begins upstream. Therefore, the cost-effectiveness of biodiesel purification methods should be evaluated based on composition of upstream product. The uses of glycerin - crude, USP-grade or otherwise - and other byproducts from biodiesel production are virtually limitless. Profiled here is the glycerin and coproduct research of three Next Generation Scientists for Biodiesel. The IRFA noted that President Barack Obama unveiled his FY 2015 Budget Proposal on March 4 that included the reinstatements of several currently expired tax provisions, but it did not include the reinstatement of the biodiesel tax credit. Biodiesel has been named the official fuel of the inaugural Delmarva Tractor Pullers Association's Super Pull. The event will take place March 8-9 at the Harrington Fair Grounds in Harrington, Del. Biodiesel exhaust fumes are safer for attendees. Targray's service in Bakersfield, Calif., for B99 and B100 began in mid-February. Targray will supply biodiesel to its growing customer base in California using the terminal's 24/7 truck rack. Full truckloads or splash blending is available.